Shredder is determined to get his revenge. 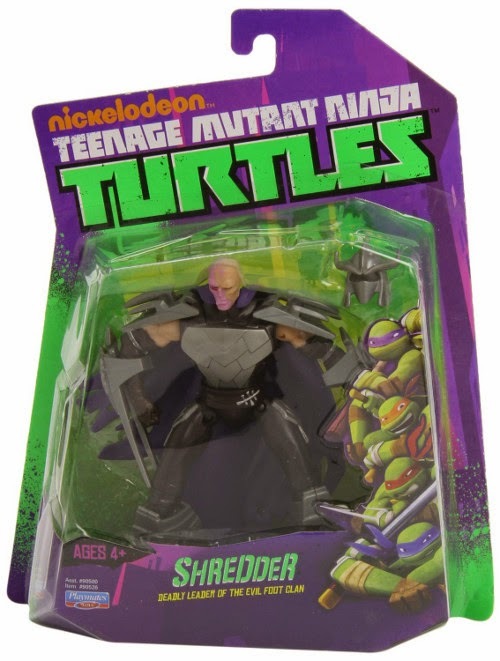 As the infamous leader of the Foot Clan, Shredder removes his mask revealing deep scars that cover his face from being trapped in a burning building after a brutal fight with the Turtles' sensei, Splinter. WEAPONS: Removable Helmet, Forbidden Ninja Techniques & Razor Sharp Armor TEAM: Foot Clan. Otros productos de LAS TORTUGAS NINJA!